Welcome to Mini Piccolini! I am so glad you are here! Mini Piccolini is all about the good life as a family with small children. How to live, love, eat, travel, play and learn better together. 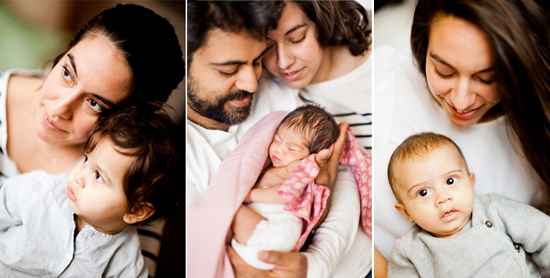 I’m Mina and I live with my husband Sumit and our three little minis: five and a half year old Alec, four year old Louis (like “Vuitton” – silent ‘s’), and two year old Léonie, in Stockholm Sweden. We just moved from our very urban life in a flat in an awesome neighborhood in Stockholm to a little white house in the suburbs. And I just left my day job to freelance full-time as a copywriter and writer. We spend as much time as we can in the country. Life with three such small children is a constant balancing act – very intense at best, and really really hard a lot of the time. But we have fabulous kids who definitely keep us laughing. I’m so glad you have found my little corner of the web! Right now we are just trying to settle into our new life in the burbs. Alec just started kindergarten and I am getting my freelance business off the ground. If you have ideas or suggestions for me – please get in touch! I would love to hear from you! Please feel free to share things you found on Mini Piccolini on your own blog or Facebook, but please keep it to just one or two pictures and link back to the original post. New to Mini Piccolini? Start here!